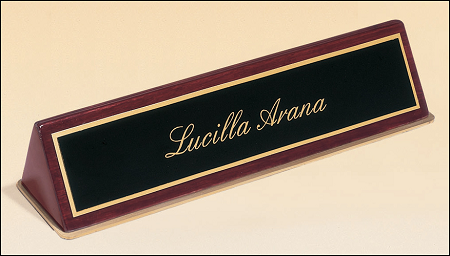 Desk Nameplate in Rosewood Piano-Finish with Laser Engraved Plate. 9.5 x 2.5 x 2 inches. Looks great on any desk!